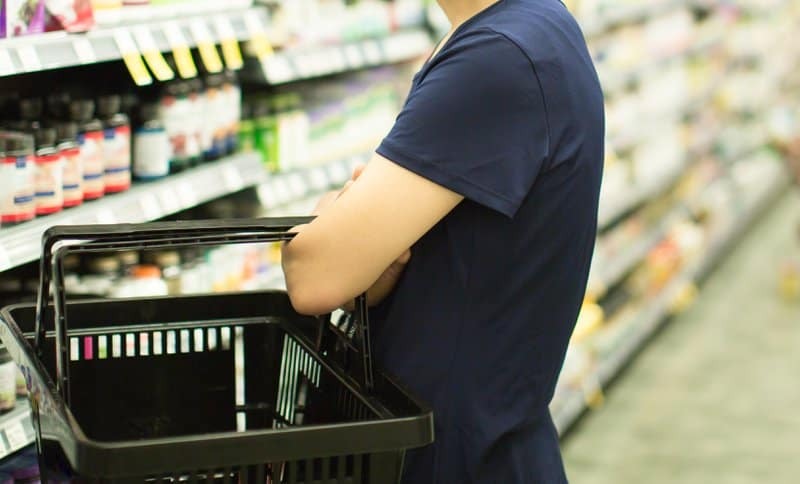 Takeaway: Although it may be tempting to buy an over-the-counter sleep aid option because they seem like a quick fix, you may be doing more harm than good to your body by taking these. The list of common side effects to these drugs is long, and the long term side effects can be seriously devastating. You can get the same results in sleep improvement from natural supplements such as melatonin and magnesium, without any of the side effects of antihistamines. So, before you reach for your bottle of Benadryl as a sleep aid, think about the damage you could be doing to yourself and instead try switching to a natural supplement. If it seems like each day it gets harder and harder to fall asleep, you might be considering a sleep aid to help you out. The world of sleep aids is vast and filled with many potentially dangerous over-the-counter options. 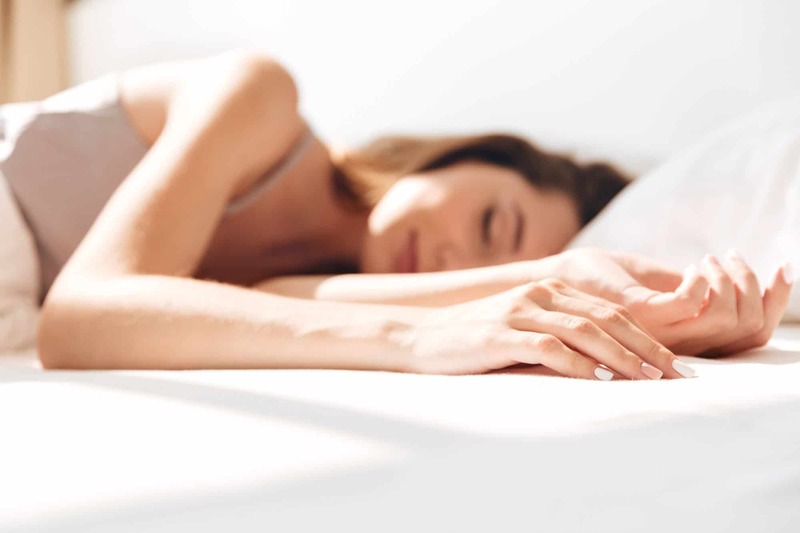 Thankfully, you’ve come to our nutritionist’s guide to the best natural sleep aids, so you can find out what the best sleep supplement is for you. Sleep aids come in many forms, but the safest route is always natural. Natural sleep aids can come from amino acids, hormones, minerals, and even flowers. A variety of chemical processes in the body can lead to drowsiness and improvements in sleep quality. It can be overwhelming with how many options there are, but don’t worry. We are here to outline the best natural sleep remedies for you. Melatonin, a naturally occurring hormone in your body, plays an important role in your natural sleep-wake cycle. This is because melatonin levels tend to be the highest in your blood at night, signaling to your body that it is time to sleep. Because of its key role in telling your body to fall asleep, it has become a popular natural sleep aid for sleep cycle disruptions such as jet lag. Several studies have reported that melatonin is able to help shift workers (people who work at night and sleep during the day) to have improved sleep quality and duration. Research also shows that it may help to enhance the quality of sleep among those who suffer from various sleeping disorders. Melatonin does this by reducing the time it takes to fall asleep and helping to increase the total amount of time slept. However, there are a few common side effects that some experience when taking melatonin, so familiarize yourself with them to make sure that melatonin is right for you. The melatonin sleep aid that we recommend is Nested Naturals’ LUNA Sleep Aid capsules because it not only comes with melatonin, but it includes other natural sleep aids like Valerian root, chamomile extract, and passionflower extract, all of which we will discuss in this guide. Magnesium is involved in hundreds of processes within the human body, especially the brain and heart function. However, studies show magnesium may also be a natural sleep aid due to its ability to regulate the production of melatonin in the body. One study gave it’s participants 500mg of magnesium daily for eight weeks and reported benefits in overall sleep quality, as well as higher blood levels of melatonin and the sleep-regulating hormone renin. However, most studies have only shown improvements among individuals who are likely to be magnesium deficient. Magnesium supplements are used for more than their assistance in sleep, having a significant role in restoring energy, maintaining brain function, relaxing muscles, and many more. For this reason, the type of magnesium supplement you should take is magnesium glycinate. It has a high level of glycine. We’re going to talk about precisely what glycine does for sleep later, but in the most basic terms, it’s a calming amino acid that can work as a sleep aid. Most importantly, it induces muscle relaxation and eases anxiety. It’s the most powerfully calming type of magnesium out there and is used to treat insomnia. The magnesium glycinate supplement that we recommend is Nested Naturals’ Magnesium Glycinate 150mg Capsules. 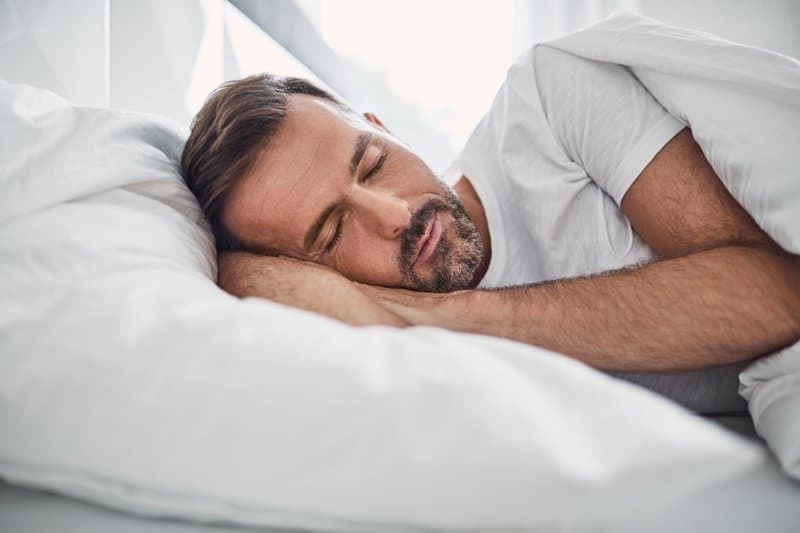 Glycine is an amino acid that is most notable for its important role in the nervous system; however, some have found that it may also improve sleep. Studies have shown that it can do this by lowering your body temperature at bedtime which signals to the body that it’s time to sleep and assists in the sleep-wake cycle. One study found improvements in sleep quality by measuring brain waves, heart rate, and breathing among participants that took three grams of glycine before bedtime. If you want a melatonin-free sleep aid with glycine, we recommend Boost Health’s CalmBoost Natural Relaxation Formula. This supplement contains both glycine and magnesium glycinate for optimal sleep improvements. These purple flowers have become famous for their soothing fragrance, believed to enhance sleep. Several studies have shown that lavender oil aromatherapy for 30 minutes before sleep may be enough to improve the quality of your sleep. While it has generally been considered safe to use as aromatherapy, taking supplements have been linked to nausea and stomach pain. The lavender sleep aid that we recommend is the Asutra Aromatherapy Mist. It’s all natural, non-toxic, and a great option to help you fall asleep at night. We recommend spraying this mist into your pillow and sheets before you go to bed at night. Chamomile is most often consumed as a tea for its sedative properties. However, there is not enough research to determine whether or not the actual chemical compound of chamomile is sedative, or if they act of making the tea itself is what makes users drowsy. A 2016 clinical trial found that women who drank chamomile tea had better sleep scores; however, the effects wore off after four weeks. A different study, alternatively, found that taking chamomile capsules made no difference in patients’ sleep. Chamomile is generally safe to use, although it may cause an allergic reaction among those with plant or pollen allergies. The chamomile sleep aid that we recommend is Hey Girl Tea’s Bedtime Tea. It not only includes chamomile, but it also contains natural sleep aids like passion flower and valerian root extract. Tryptophan is an essential amino acid that’s found in foods containing protein. This amino acid can be converted into a molecule that is used to make serotonin and melatonin, both of which aid in sleep regulation. However, tryptophan is not only used for making serotonin and melatonin, but it also aids in the creation of protein and niacin. For this reason, it may be best to go straight to melatonin supplements. If you want to try a tryptophan sleep aid, we recommend We Are Fit’s Sleep Aid Pills. In addition to L-tryptophan, these pills also contain natural sleep aids like melatonin, valerian root, chamomile, and passion flower to name a few. Most over-the-counter sleep aids contain antihistamines as their primary active ingredient to induce drowsiness. Antihistamines are sometimes combined with acetaminophen, like Tylenol PM, to assist in pain relief. While antihistamines can be very effective in inducing sleep, the drowsiness it causes is only a side effect of them. Because of this, it’s only recommended to take antihistamine sleep aids as short term solutions, rather than long term ones. Diphenhydramine is the antihistamine found in Benadryl, Nytol, Sominex, Sleepinal, and Compoz. This drug is intended to be used to relieve symptoms of allergy, hay fever, and the common cold; however, it has been used as a sleep aid because of its side effect. The maximum recommended dosage of diphenhydramine is 50mg every four to six hours, but many who use allergy medication like Benadryl as a sleep aid often take more. Using diphenhydramine as a long term sleep aid is not safe, as it could cause dangerous side effects such as low blood pressure and heart palpitations. Doxylamine is the antihistamine found in Unisom, Nyquil, and Nighttime Sleep Aid. This drug is similar to diphenhydramine in that it is also an antihistamine that was initially meant to relieve allergy and cold symptoms like runny noses. However, it is notable that doxylamine succinate is responsible for greater drowsiness than diphenhydramine. It also can have serious long term side effects, and should not be used on children younger than six years old. Among the wide variety of natural sleep supplements are the herbal type. Herbal sleep aids are often derived from flowers and roots and have been used for thousands of years in traditional medicine. Modern medicine and medical research are catching up to just how useful these herbal supplements for sleep can be. This herb, native to Asia and Europe, is commonly used as a natural treatment for depression, anxiety, and menopause. Valerian root is one of the most commonly used herbal supplements in the U.S. and Europe for sleep promotion. Several reviews reported that 300 to 900mg of valerian root, taken right before bedtime, led to improved self-rated sleep quality. However, further studies need to be conducted because most have only been based on subjective results (self-rating sleep quality, sleep diaries, etc.) The safety of long term use has yet to be determined, but short term use appears to be safe. If you want a valerian root supplement without any added ingredients (like melatonin), we recommend Pure Naturals’ Valerian Root 500mg capsules. These capsules can be used in two ways: swallowed as a capsule or opened up and made into a valerian root tea. Passionflower, native to North America, is a popular herbal remedy most often used to treat insomnia. However, research shows that its effects on humans may depend on the form that the herb is consumed. 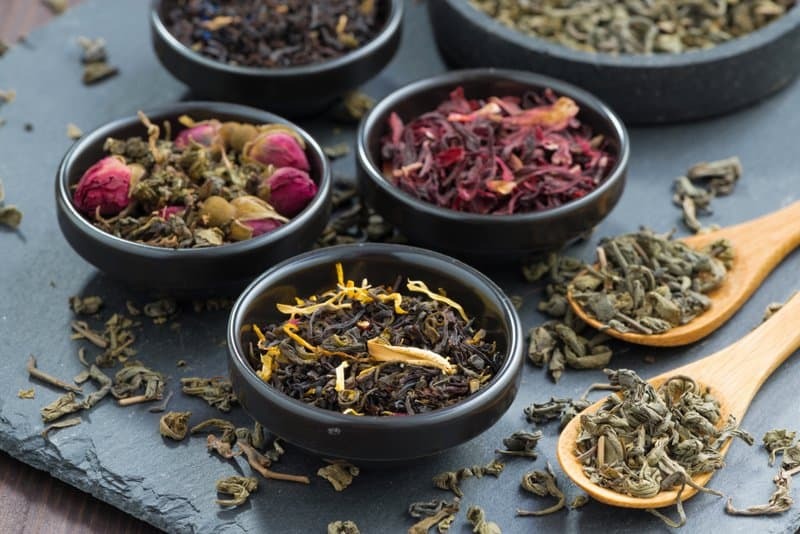 While one study found that passionflower tea was beneficial in improving sleep quality among its participants, another study found that passionflower supplements had no effect on sleep. While it’s debatable how well it works to aid in sleep, it has been established that intake is generally safe for adults. If you’re looking for a pure passionflower supplement, we recommend Oregon’s Wild Harvest Passionflower Organic capsules. These capsules may help you to achieve a quality sleep cycle where you get all the way through to the REM stage of sleep.